Okay, due to the play opening on Friday, I'm taking a break from posting to the blog this week. I promise to check back in next week and update you. I simply have too much on my plate at the moment and blogging will have to wait. Good news though, I actually remembered almost all of my lines tonight! We also got our first look at the leg lamps we'll be using. They are hillarious. Can't wait to see the audience's reaction. Hope your week is going well. Keep saying those prayers for me!! Two more days until showtime!! Week in Review - I think I'm losing my mind!! Well, I'm probably not. If that were possible, I'm sure it would have happened years ago...like when my twins were babies...with colic. This was a busy week for us due to me trying to learn my lines, busy practices, busy kids, house work, school work, set building, re-opening my website, etc., etc., etc. Monday Haley had her choir class, and the boys and I went to Sam's to pick up catfood and something for dinner. We decided on what my twins call "ferris wheel chicken". You know the ones (rotisserie chickens actually) that are in the deli department. They love to watch them go round and round. Really exciting stuff, right? Anyway, they like to eat them almost as much as they like to watch them at the store. Then it was home for a quick dinner and off to practice. This was our final week of regular practice before we start tech week. I'm feeling VERY nervous! Tuesday we stayed home doing schoolwork, housework, and doing my best to learn my lines. That evening we were back at the theater for practice. We spent some time reading How to Train Your Dragon, Book 1. Its completely different from the movie which my kids love. Good book so far though. Wednesday was more of the same, with me also trying to figure out my website and us going out to dinner. I let my website stay down too long and had to re-enter everything. Since I had to do all that, I went ahead and changed the entire thing. Now it matches all of my business cards, bow cards, and bag labels. It really wasn't too difficult, but it wouldn't look as good as it does without the help of my friend Kris who lives in Canada. She's a whiz at stuff like that and helped me tweek it. Thank you Kris!! Thursday we got all of the basics done, with nothing particularly exciting due to my having to work on my lines. 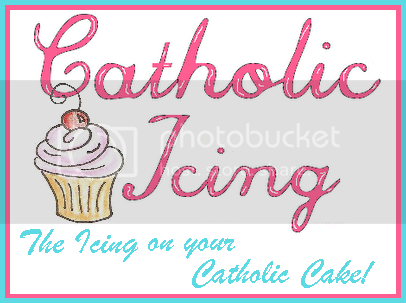 I also worked on adding products to the website. I still have tons and tons of things to get listed. I haven't even started working on any of the Gymboree stuff. This may take me forever... We had practice until late trying to get ready for tech week. Friday was again more of the same but with daddy getting home earlier and grilling dinner for us. He also built a fire and the kids roasted marshmallows. It much be a guy thing. Whenever the weather gets cool, he feels the need to make a fire. Yes, we have a real fire pit in the back of my yard. Lovely, huh? The kids enjoy it though. I stayed up late reading my script and working on the website. Saturday we most of the day at the theater helping to build the set. We got lots done and I can't wait to see the finished product. You should see the antique stove I get to pretend to cook on. Its hilarious! I've never seen anything like it. I almost expected to open it and see a place to stack wood. Seriously! The kids also convinced daddy to make a leaf pile that morning so that they could jump in it. Apparently its something they look forward to all year. They have been watching the leaves fall and discussing when it would be time for the leaf pile for weeks now. It still wasn't quite time since there are still lots of leaves on the tree, but he decided to make them happy and give them a small one to jump in. What are daddy's for, right? Now before you imagine him raking and raking, stop...he used a leaf blower. Sorry for the boring no picture post, but my battery died and I didn't know it until I tried to use it to take pictures. Please say a prayer for me as we go into tech week. I need all the help I can get remembering all of my lines. The show opens this coming Friday night. YIKES!!! Hope you guys had a great week. Be sure to stop by Weird Unsocialized Homeschoolers to see more Weekly Wrap Up posts. After being down for almost an entire year, my website is now officially back open. Its still a work in progress, and doesn't have near the amount of bows and other items it did before, but maybe that's a good thing! I will be continuing to add products over the next few weeks. In honor of my grand re-opening, I'm offering a 15% discount to all my friends and family. Simply enter FRIEND15 to see the discount in your cart. If you don't see what you need in the store, just shout! Oh, and I'm working on lots of Christmas bows that I hope to add over the weekend. Keep in mind that I'm in the middle of a play, homeschooling my kids, keeping house, etc... Things move rather slowly around here right now. Go to www.bowsalamode.com to check it out! Feedback welcome! Oh, and if anything isn't working right, please let me know. It never fails that I'll find a few glitches when I first start it up. In history the boys have been learning about the Phoenicians from our Story of the World curriculum. I find it so amazing that civilizations as old as the Phoenicians were able to do the things they did. Not only were they amazing sailors, but they were amazing craftsmen as well. How they were able to figure out how to turn sand into glass is beyond me. The boys were particularly fascinated with the part about the Phoenician town of Tyre and how purple dye was made from sea snail.. I'm sure the smell wasn't though. Yuck! Boiled sea snails. Anyway, after we read about how they invented glass blowing among other things, we made pretend colored glass using crayon shavings and wax paper. Adam worked so hard sharpening his crayon piece in order to get enough of the shavings. Look mom, dirty fingers! Ryan having his turn now. And there you have it...Phoenician glass...or whatever you'd like to call it. I offered to try the other project which was making our own purple dye. Using blueberries, not snails, thankfully. However, the boys decided the pretend glass was enough. Darn... How was your day? Okay, I could go on for days as they are now spouting out gift ideas without pause. But, I'll stop here. Now to figure out where the money to buy all these absolutely MUST HAVE gifts is coming from. 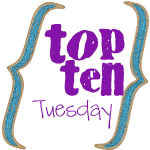 For more Top 10 Tuesday posts, stop by Oh Amanda's blog. 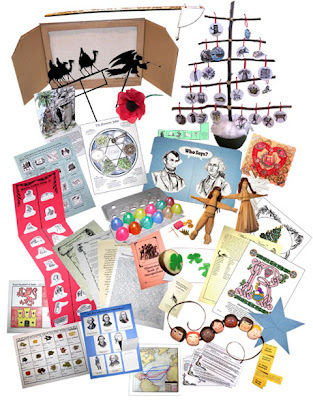 Home Science Tools is more than just another place to find great science curriculum, lab equipment and supplies. They have a wonderful resource available for free. Since my kids love hands on learning, I just had to check it out. Apparently, my friend was signed up for their monthly newsletter. She was forwarding this months learning idea. It was completely awesome! Better yet, you can access old newsletters as well. Each offers teaching tips, labs, and ideas based on a specific topic. They also have the newsletter geared to specific age groups. For instance, the newsletter she forwarded me was all about fingerprinting and offered labs on how to make and discover fingerprints. Tons of cool ideas. For the younger kids, there's also a wonderful lab on bubbles. I can't wait to try it out with my kids. It is all about the science behind the bubbles. Kids learn how bubbles are formed, why they're formed, make their own solution. You make two different types and experiment with it to see which works best. They get to make their own wands and try to make shaped bubbles. Very, very cool! I could go on and on about all the wonderful learning ideas available on this website, but you really just need to go check it out yourself. In addition to all the learning labs, they also sell just about every science curriculum you can imagine, and all of the necessary supplies to go along with them. You'll find microscopes, prepared slides, telescopes, weather station items, rock tumblers, and so much more. My kids were practically drooling looking at all the awesome supplies! Week in Review - Late is better than not at all, right? I am so sorry for not getting our Week in Review post posted sooner. Its just been that kind of week around here. I may as well just go ahead and apologize for the next several weeks while I'm at it because they are most likely going to be crazy as well. Please bear with me until we get through the weekend after Thanksgiving. My life will return to some semblance of normalcy after that. So...what happened this week? Well, I didn't feel well most of the week, and we had play practice on Monday, Tuesday and Thursday. Friday night Haley had her first official camping trip with her girl scout troop. Nothing like a little below freezing temperatures while you get to sleep in a tent. She claims it was the worst night of her entire life. Not sure if she'll ever want to try that again... I didn't get home until late due to having to drive her up to what felt like "the other side of the planet", only to discover that Ryan was running a 102.9 degree fever. Poor kid! He obviously got what I had all week. So, Ryan and I spent Saturday at home sewing costumes for the play while daddy and Adam went fishing. Haley got home late Saturday, tired, smelling like camp fires, and claiming never to camp in cold weather ever again. Sunday I had to stay home with Ryan while daddy taught our Sunday school class and took the other two to Mass and his grandmother's for lunch. The good news is that I got all the costumes done, and my house cleaned! Nothing about our school week you ask? Well, it was just more of the same. With us being so busy, we haven't had time for any of the fun projects and hands on activities that I like to do. We just did the basics and lots of them. You know the ones...reading, writing, math, science, history. We got a lot done considering how busy we were and the fact that several of us weren't feeling very good. So, here's hoping for a more exciting week (in a good way) next week. How was your week? Homeschool in the Woods the History of Holidays. If you read my blog, you kn and folding involved in lapbooking. My kids don't enjoy writing enough to do the notebooking. These products have a nice mix of everything. Not at all overwhelming for a lapbook phobicow that we have the New World Explorers product from Homeschool in the Woods. I simply can't say enough good things about it. Its well written, illustrated and thought out. I love doing unit studies, but don't like all the printing like me. Very simple to implement and use. Lesson plans are even included along with more activities and projects than you can imagine. This one is my favorite by far! Especially since its just $18.95 and includes every holiday you can imagine. Live and Learn Press has tons of lapbooks for most of the major holidays. I own one of the Apologia science lapbooks and have to say that I'm impressed. The illustrations are great and my kids really enjoy doing them. However, it does involved lots of printing and folding. I am a novice at the whole lapbook thing and had quite a bit of trouble figuring out some of the folds. Maybe they need to have a folding for dummies download available? These are a bit more expensive, ranging in price from $10 - $21 per e-book. Keep in mind that these only cover one subject or holiday. 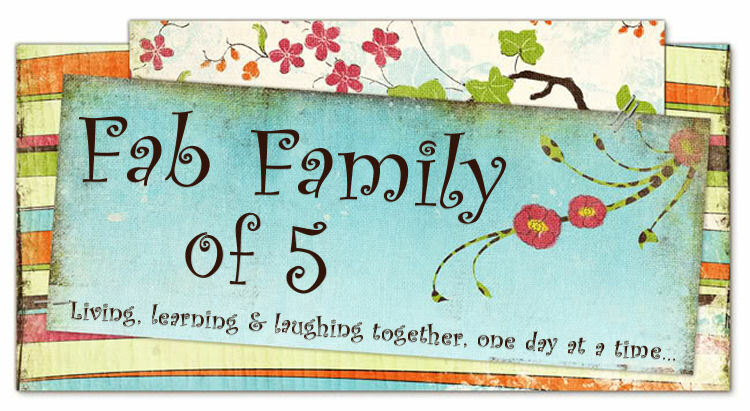 One tip is that you can join their Yahoo group and get some awesome e-books for free. 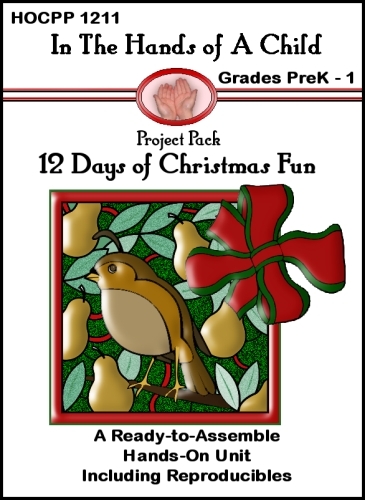 I was able to download a Thanksgiving e-book there that looks really good. CurrClick - Here you can find anything and everything you're looking for. All of their products are available for instant download and the prices are very reasonable. You'll find e-books from many of the companies you're already familiar with. Hand of a Child - Here you'll find tons of great lapbooks for all the holidays. My only problem with the products I've used is that they require tons and tons of printing. The graphics are all black and white, and to make them colorful you either have to get the kids to color them, or print them on colored paper. I have a child that hates to color, so this doesn't work too well. Other than that though, I have been pleased with what we've purchased. The cost is a bit higher than some of the others though at around $20 per lapbook. Can I just say how overwhelmed I am at the moment. Maybe that's not the right word. 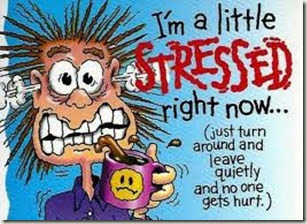 Stressed would work too... Anyway, suffice it to say that I have a lot on my hypothetical "plate" right now and I may not be posting as often as I might normally. I'm in the midst of play practices, school work, costumes hunts, bow orders, holiday nuttiness, ect... Once I get the play finished later this month, things will improve. You guys say a prayer for me that I somehow manage to learn all of my lines by opening night on November 19th.